T oday marks the 70th anniversary of D-Day. For those of you who like me cannot be in Normandy, BBC One will cover the ceremonies and offer special shows and interviews. Surely, many more programmes, documentaries and movies will be on TV this period. I’m now watching “Inside World War II” on National Geographic Channel while I’m typing this. Nothing new, but the colored period footage is well worth watching. 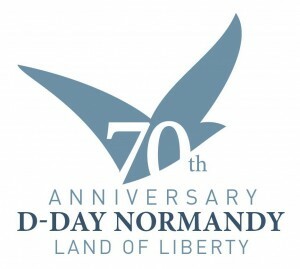 More information about the programme and sights and activities in Normandy, visit this official D-Day 70th anniversary website of the Normandy region. You’d already have to be there now to attend any of the ceremonies and activities, because traffic in the area will be pretty much locked down.